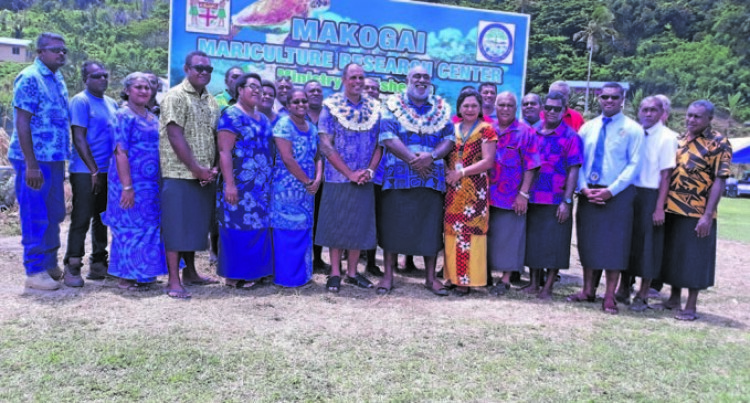 The new Makogai Mariculture Research Centre will be leading the Sustainable Fisheries, Climate Change Mitigation and Adaptation projects, says the Minister for Fisheries Semi Koroilavesau. He made the comment during the commissioning of the research centre’s new office and residential buildings on Makogai Island, Lomaiviti. The research centre and residential buildings were destroyed during Cyclone Winston on 2016. “This is a new beginning, a new journey that we are embarking on a new action plan. We will work hard to bring in new commodities, new projects, new infrastructure, new laboratory and research equipment to increase our outputs and service delivery at the same time,” Mr Koroilavesau said. Mr Koroilavesau said the station is equipped to conduct research on marine commodities, spawning and culturing of giant clam species and cage farming of coral trout and cod.